What’s the latest “need to know” news in cancer research? 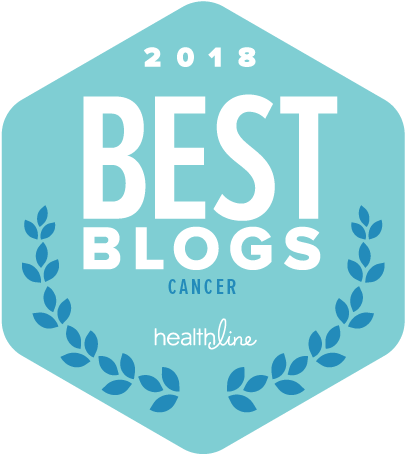 In this post, I’ll briefly review several of the most interesting cancer research stories that have been in the news this fall. Topics covered this time include approval of a new drug to treat advanced breast cancer and a study on post-traumatic stress disorder in cancer survivors. The FDA has approved a new drug to treat hormone receptor-positive advanced breast cancer. Verzenio, a CDK 4/6 inhibitor, is similar to the already-approved Ibrance and Kisqali. Verzenio differs from the other two drugs in that it is approved as a stand-alone treatment for patients who have already received both hormone therapy and chemotherapy for advanced breast cancer. Like the others it is very expensive, costing over $10,000 a month. You can read more about this approval in an article in Cure Today and in a post on the AACR Cancer Research Catalyst blog. For early stage breast cancer patients with hormone receptor-positive breast cancer, the final phase of treatment often consists of an anti-estrogen therapy such as tamoxifen or an aromatase inhibitor. These therapies typically are given to further reduce the risk of recurrence following surgery, chemotherapy and/or radiation treatment. Generally, these drugs are intended to be taken for five years under current practice. Some studies, such as one on aromatase inhibitors that I wrote about last year, have found that extending anti-estrogen therapy up to ten years can further reduce risk. However, side effects can be significant and are an important issue for many patients with long-term anti-estrogen treatment. How much risk remains if anti-estrogen treatment is stopped after five years? A new meta-analysis of 88 clinical trials sought to find out what the risk of recurrence is for up to 20 years when treatment with anti-estrogen therapies is stopped after five years. The study found that recurrence risk does remain and the level of risk is closely tied to the stage at diagnosis, i.e. the tumor size and number of involved lymph nodes. You can read more about this study and its implications in a blog post by Dr. Deanna Attai. The FDA has approved a second version of CAR-T cell therapy, a treatment in which a patient’s own immune cells are genetically engineered to attack cancer cells. CAR-T cell therapies are now approved to treat adults with advanced non-Hodgkins lymphoma and young patients with advanced leukemia that is resistant to standard treatment. CAR-T cell therapy is highly customized to each individual patient and is extremely costly. There are side effects that must be carefully managed and can be severe and even life-threatening. In addition, its long-term effectiveness, as well as any long-term adverse side effects are unknown. A recent clinical trial has provided some insights into knowing when a patient is at risk for severe side effects and possible strategies for reducing these risks. An article in Fred Hutch News reports on the trial and its findings. A recent study published in the journal Cancer found that 1 in 5 cancer patients had developed post-traumatic stress disorder by six months after diagnosis. In addition, for about one-third of the patients who had PTSD, the condition remained or even worsened after four years. Symptoms that may be experienced with PTSD include flashbacks, severe anxiety and cognitive problems. Many cancer patients believe they need to adopt a ‘warrior mentality’, and remain positive and optimistic from diagnosis through treatment to stand a better chance of beating their cancer. To these patients, seeking help for the emotional issues they face is akin to admitting weakness. There needs to be greater awareness that there is nothing wrong with getting help to manage the emotional upheaval–particularly depression, anxiety, and PTSD–post-cancer. The American Society of Clinical Oncology (ASCO) recently published a statement on alcohol and cancer risk. Although there are no new scientific findings about the relationship between alcohol and cancer risk, the ASCO statement has received a lot of media attention. In the United States, it has been estimated that 3.5% of all cancer deaths are attributable to drinking alcohol. Alcohol is causally associated with oropharyngeal and larynx cancer, esophageal cancer, hepatocellular carcinoma, breast cancer, and colon cancer. Even modest use of alcohol may increase cancer risk, but the greater risks are observed with heavy, long-term use. Of course, this means that 96.5% of cancer deaths are not attributable to alcohol. If we eliminate heavy drinking, which no one endorses as healthy and where the association is surest, that number climbs. If we also eliminate those who smoke — smoking is believed to intensify the relationship between alcohol and cancer — the number of cancer deaths not attributable to alcohol approaches 100 percent. For more on the implications of the ASCO statement, another helpful reference is an article by Kathleen Hoffman in Medivizor.